The body has a vast array of healing mechanisms and they are all regulated by the mind – mostly by the unconscious mind. This regulation involves two-way communication – from the mind to the body AND from the body to the mind. To use the mind to accelerate healing we need to be able to send positive messages from the mind to the body and receive the body’s feedback. When injured or in pain, instinctively the body tenses up. Doing so, blood flow is limited, muscle tension actually aggravates pain and the potential for healing is reduced. The antidote is to over-ride this instinct with deep relaxation. I lay down and spent hours deeply relaxing my body generally and the affected area specifically. This process involved putting the centre of my awareness into the area being relaxed, particularly the area needing healing and it was guided by the pain – see part iii) to come. This is another technique where having pre-existing skills is so helpful. How nice it would be if everyone knew how to do this by teenage years. However, it is never to late to learn. Start with the Progressive Muscle Relaxation, focusing upon the feeling of the body relaxing. Learn to take that feeling of relaxation into the affected areas. This does take time. It does take practice. It does bring rapid relief and it does definitely accelerate healing. Meditation is highly therapeutic. It leads to a state of deep physiological rest; a state of deep natural balance in which the ideal conditions for natural healing exist. Imagery provides the means to connect our conscious intention to heal with our mind’s unconscious healing control centre that knows how to do it. Together, the two techniques are synergistic. I meditated in my usual way 3 times daily for 40 – 60 minutes each time. This was done with the gentle but clear conscious intention that this meditation would help to accelerate healing but it was done without “trying” to make healing happen. By contrast, I also imagined the injured area healing using semi-literal healing that highlighted the end result of a fully functional, healthy, strong muscle and shoulder, with me being able to move and use it through its full range of movement. Again, ideally these are pre-existing skills. Good to learn and practice when you are well, but it is certainly realistic to learn and apply these techniques when the need is immediate – see the Resource list later. Perhaps paradoxically, pain is a great asset to accelerated healing. Obviously pain lets us know something needs attention, but more specifically, we can use it to focus our Mind-Body techniques; and to get feedback. With the deep relaxation, I focused upon the painful areas (which did relate directly to the injured tissue), put my full awareness (free of judgement or reaction) into them, and worked on relaxing those areas until they felt the same as the healthy areas of my body. This took some doing. It required some resolve, some capacity to feel the pain purely as it was, and some persistence. It was often only partially successful in any given session, but then I took heart from any progress made towards a more relaxed, less painful state (rather than bemoaning what was left to do). Occasionally there was complete relief from the pain and a deep sense of healing flowing. My sense is that this technique is a key principle in accelerated healing. Quite simply it takes practice and while what to do is essentialised above, the details of how to do it more thoroughly are in Meditation – an In-depth Guide and on the CD (or Download) Effective Pain Management. While we sleep, the body and the mind are at rest. Sleep provides a refuge, a relief from pain if we need it; and while we sleep there is plenty of energy available for healing. Before going to sleep I reminded my body, programmed it really, to continue healing. This one is simple. In a kind, friendly way, just before going to sleep, remind your body it will be free to heal unhindered, undistracted while it is asleep and maybe even imagine it doing so. Self talk can be very destructive or very self-affirming, very healing. I was pleased to notice that after all my years of conscious experience with this principle, the fact was this was easy for me. For many I have known, destructive self talk can provide a major challenge and can require a concerted effort to transform. What to do? Firstly, be gentle with yourself. Do aim to remember to notice the conversation/ the thoughts that flow through your mind. Recognise they are but thoughts. They are just thoughts. So even if they are potentially destructive thoughts, unless you take them seriously they are just thoughts – they come and go and no harm is done. Where the problems arise is when we take our thoughts (especially potentially unhelpful ones) too seriously and allow them to dictate how we function, how we are. So the ideal is just to recognize thoughts for what they are – just thoughts; to follow through on constructive thoughts and to let go of any unconstructive ones. Maybe it as an interim measure that is helpful while we work towards this somewhat idealistic goal, it can be helpful to gently correct or to actively dismiss unhelpful inner chatter and to give more weight to positive self talk. If this area is a major issue for you, affirmations may well be useful. In my view, there is a very clear hierarchy of healing. It starts with being so well that sickness and injury are simply no problem, and leads all the way to major external interventions. My approach is always to focus on what works and aim to do what is easiest, most natural and has the least side effects. So in healing, my personal approach is to start with the most natural thing that is likely to work, to give that some time and be open to noticing the response and moving down the hierarchy until something or some combination of things actually works. Surgery often makes really good sense. Being really well involves consistently living a healthy lifestyle. The emphasis is on recognizing how precious life is – and how fragile. It is a delight to be alive and it makes sense to celebrate life by following a healthy lifestyle. With a healthy lifestyle, prevention flows naturally, good health flows naturally, wellbeing flows naturally. Here there is a more conscious attention given to the prevention of illness. In my experience, while prevention makes all the sense in the world, people in general are completely under-whelmed by it as a motivator to adopt a healthy lifestyle. Illness is a great driving force, wellness can do it, but not so many are motivated long-term by the notion of prevention. Sad? Maybe. Fact? Absolutely! There are two big areas to consider – first what you can do for yourself, and then what can be done for you. Maybe you can completely resolve the injury/illness yourself – the body does have an amazing capacity for regeneration and healing. But if you do need any external help, how you respond, what you do, all of that will have a profound impact on the experience you have during the healing process and upon the final outcome. Break a leg, disregard the healing, eat badly, use it excessively – bad outcome! Break a leg, work with the healing, eat well, exercise judiciously etc, etc – good outcome! A healthy lifestyle, Lifestyle Medicine, creates the ideal conditions in which the body can best contribute to its own healing, and in which the body can work powerfully to gain the best result from any treatment, and to minimize the risk and impact of any side effects. Of course it can make sense to seek external help for healing, and this help can come in many forms. Each culture has its own Traditional Medicine. In the West we call this Conventional Medicine, but there is Traditional Chinese Medicine, Traditional Aboriginal bush medicine, Ayurveda, Tibetan Medicine and so on. There is also Complementary and Alternative Medicine and Palliative Care. The point is that all these modalities involve something being done to, or for you. The Australasian Integrative Medical Association (AIMA) has recently published a major policy statement on the range of healing modalities on offer and I will blog on that soon. Again, my personal preference is to use the most natural modality that is likely to work and that has the least side effects. What this is will vary from situation to situation and ideally we can be helped/advised by someone with a broad view that has our own best interests at heart. This is where it is valuable to have a key health practitioner and in my view the ideal person for this role is a General Practitioner who is trained and experienced in Integrative Medicine. AIMA is the peak body for this group and their website features contact details for accredited practitioners. I do like to have a sound medical diagnosis, so I did visit an orthopaedic surgeon, had X Rays and an MRI. (I was also curious to see how my lower spine looked on X Ray after all these years - crap basically, but it works well ). This proved to be a bit of a waste of time because once it was all organized, the arm was pain free and fully functional again. However, the tear was confirmed by the physical exam and on MRI. I have become pretty good with pain management over the years (have had root canal dentistry without anaesthetic) but this injury was excruciating. I needed to travel and I had commitments to lecture. I took two Nurofen three times and plain Panadol going to bed twice. Hard to give specific advice here – probably not appropriate either. Situations can be so different. Best to reflect on the principles, discuss your own situation with your family, health practitioners and any other confidants you trust and then decide what works best for you. Taking time to get to a point of confidence, including making time to formally contemplate the possibilities are two things that seem to help most people. These principles are usually discussed during the specific cancer residential programs Ruth and I present, and in the doing, people are assisted to sort out their priorities and options. Many of the actual Mind-Body techniques are practiced and developed in all our retreats. When unwell, constructive support is vital; support from family, friends and health professionals. Ruth looked after me extremely well. She also managed her own natural concern for how we would manage if the injury persisted and embarked on the trip expecting the best. It is fair to say that after working initially as a conventional doctor she has needed time, training and experience to be confident of accelerated healing, but having accomplished this, we were united in the possibilities. I am also fortunate to have a senior orthopaedic surgeon as a friend so I was able to call upon him for early phone advise and then to see him personally when we arrived in Sydney. The injury healed too quickly to call upon any other services. Seek out the best health professionals in every area of need that you have, ask for help, ask lots of questions, take your time, reflect upon and contemplate the answers and the options, then make deliberate (as in conscious) choices. Then seek help to follow through. This may be the longest blog to date. If you are still reading, maybe it has been helpful. Obviously there is a great deal of detail to fully explain what to do to develop each point. The material presented in this and last week’s blog will be at the heart of the material to be covered in the next specific cancer programs Ruth and I will present – the first, Mind, Meditation and Healing at Wanaka, New Zealand in November 2014, the second, Cancer and Beyond in the Yarra Valley, Australia in May 2015. (Nutrition will be given thorough coverage as well, while there will be ample time with myself and Ruth for questions and discussion, along with good conversations amongst like-minded people). To be clear, there is a lot that can be done to accelerate healing. However, in my experience, to do this well it takes some commitment to learning and practice. Both are required. So I have added a resource list below featuring where more details are available via my own books, CDs etc, and I am working on an expanded reading list that I will add to my website soon – suggestions for inclusions are welcome via the comment section below. In conclusion maybe you know someone else in need and could forward this two-part blog. Maybe together we could help someone else to experience accelerated healing. Five day residential retreat in New Zealand with Drs Ian and Ruth Gawler. It is not too late to end the year with deep natural peace. Profound insight. 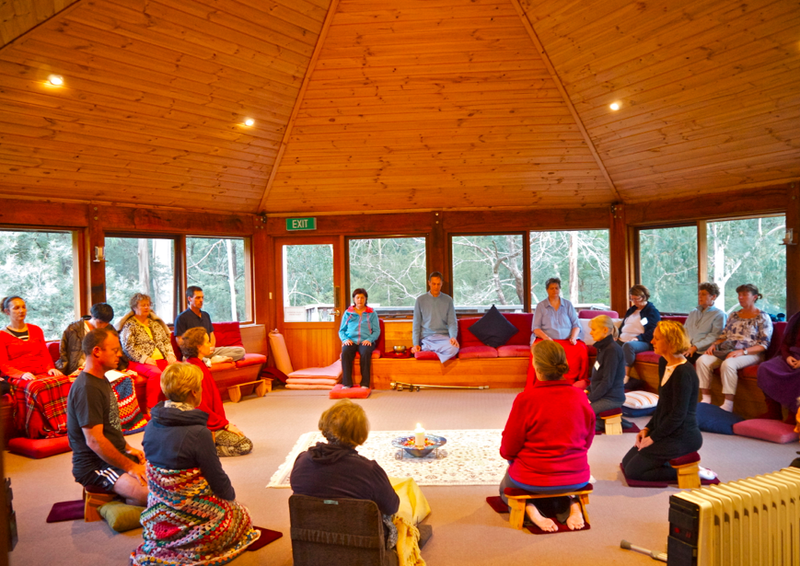 With over 50 years of leading meditation retreats and a wide variety of groups between us, Ruth and I invite you to join us for a 7 day meditation retreat amidst the beauty of the Coromandel Peninsula. The Mind that Changes Everything – for details on how to connect the conscious thought “I want to heal”, with the unconscious part of the mind that actually regulates healing. You Can Conquer Cancer – the complete manual for healing. Meditation – a Complete Path – the ideal starting point for meditation and the 2 key guided meditation practices. Effective Pain Management – how to transform the experience of pain and use it to accelerate healing. Emotional Health – how to recognize and let go of destructive emotions, while enhancing healthy emotions. A Good Life – ABC Compass program outlining something of my life and work. As part of the Mindbody Mastery on-line meditation program I helped to set up, we feature a regular blog series of masters of mind & body.. The aim is to keep going back to that question – Ever wondered what real-life masters of mind & body look like? Who they are? What do they do with their lives? How do they think, speak and act? And the answer – Would it surprise you to learn that by and large, they look very much like you and me, and that they mostly live in our own communities? Though some do choose to be renunciate monks and nuns and live in splendid isolation at some of the most spectacular places on earth (like the Himalayas) while yet others choose to live nomadic lives, spreading goodness and inspiration through the world (like the famed Sadhus and Fakirs of India). Invariably each has a keen sense of how they can help make our world a better place, and go about their work in their own unique ways – sometimes in the glare of public limelight, but most often just quietly, and with great dignity. Having show-cased some who have spectacularly renunciated the world and their identities in their quest for mind-body mastery in our previous two blogs, this time we venture closer to home, with Liz Schiemer of Pt Stephens, NSW, Australia, a Master of Positive Thinking. Her untiring work in improving mental health in her community is an inspiring story as you will see. Great blog, love from Frankfurt, coming home ned again. Thank you for sharing your experience. It is inspiring!